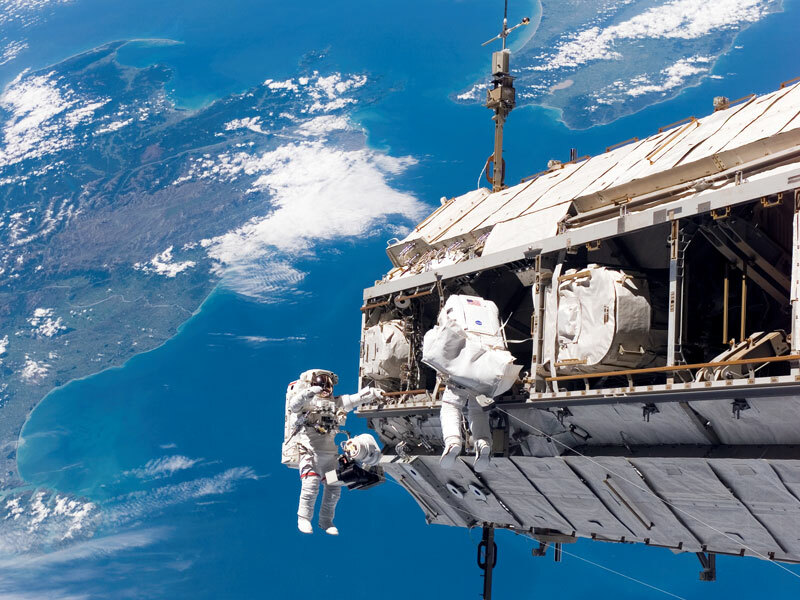 Explanation: The International Space Station (ISS) will be the largest human-made object ever to orbit the Earth. The station is so large that it could not be launched all at once -- it is being built piecemeal with large sections added continually by flights of the Space Shuttle. To function, the ISS needs trusses to keep it rigid and to route electricity and liquid coolants. These trusses are huge, extending over 15 meters long, and with masses over 10,000 kilograms. Pictured above earlier this month, astronauts Robert L. Curbeam (USA) and Christer Fuglesang (Sweden) work to attach a new truss segment to the ISS and begin to upgrade the power grid.